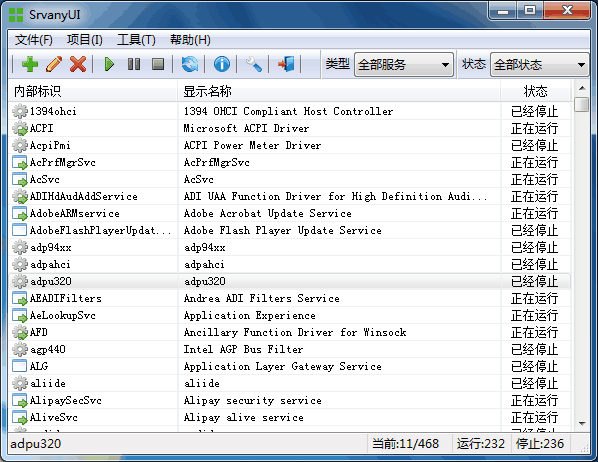 Windows Registry Editor Version 5.00 [HKEY_LOCAL_MACHINE\SYSTEM\CurrentControlSet\Services\服务名称\Parameters] "Application"="值为你要作为服务运行的程序地址" "AppDirectory"="值为你要作为服务运行的程序所在文件夹路径" "AppParameters"="值为你要作为服务运行的程序启动所需要的参数"
Important Services cannot directly interact with a user as of Windows Vista. Therefore, the techniques mentioned in the section titled Using an Interactive Service should not be used in new code. 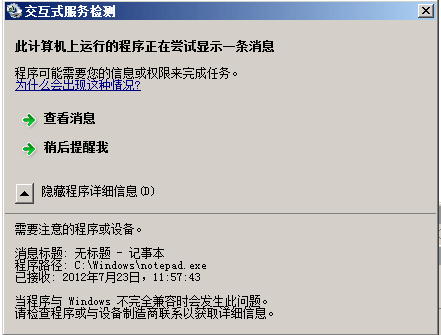 WriteRegStr HKEY_LOCAL_MACHINE "SYSTEMCurrentControlSetServices服务名称Parameters" "Application" "$INSTDIR你的程序.exe"
WriteRegStr HKEY_LOCAL_MACHINE "SYSTEMCurrentControlSetServices服务名称Parameters" "AppDirectory" "$INSTDIR"
WriteRegStr HKEY_LOCAL_MACHINE "SYSTEMCurrentControlSetServices服务名称Parameters" "AppParameters" ""
WriteRegStr HKEY_LOCAL_MACHINE "SYSTEMCurrentControlSetServices服务名称Parameters" "Application" "$INSTDIR你的程序.exe" WriteRegStr HKEY_LOCAL_MACHINE "SYSTEMCurrentControlSetServices服务名称Parameters" "AppDirectory" "$INSTDIR" WriteRegStr HKEY_LOCAL_MACHINE "SYSTEMCurrentControlSetServices服务名称Parameters" "AppParameters" ""